Main » Board Games » La Granja: The Dice Game - No Siesta! 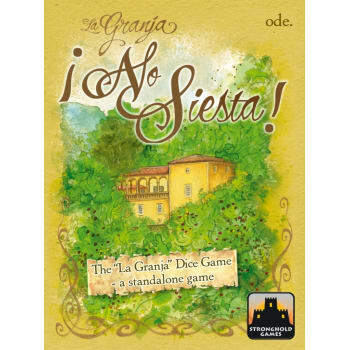 In No Siesta, a standalone dice game follow-up to the boardgame La Granja, players collect resources in order to gain the most victory points. To do this, they can hire helpers to use their special effects, build a barn to store goods, and, sometimes, take a little time off and have a Siesta!